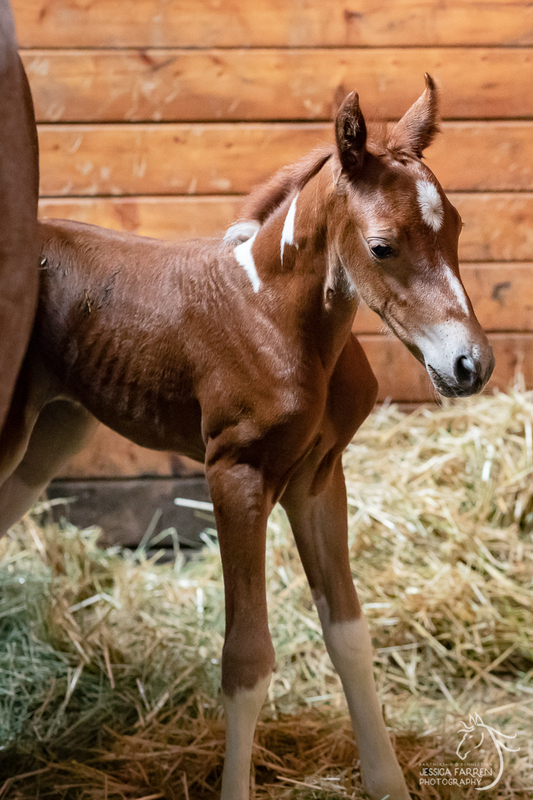 There’s nothing as magical as a foal. But have you ever stopped to think about how much it costs to raise one? Our herd of horses grew by one recently with the birth of Pippi, a healthy long legged filly; sweet, beautiful, and full of life! Her mother, Asha, was badly neglected and starved before being rescued…and to our complete surprise, she was also pregnant! Fortunately, there was enough time to return Asha to good health before the arrival of her foal on September 1, 2018. While we never like to see unplanned equine pregnancies, Pippi has arrived and it’s our duty to ensure that she has the very best start in life! We want to ensure that she never ends up in a situation of neglect or abuse. To achieve that goal, we crunched the numbers and figured out just how much it will cost to raise her to the age of four. 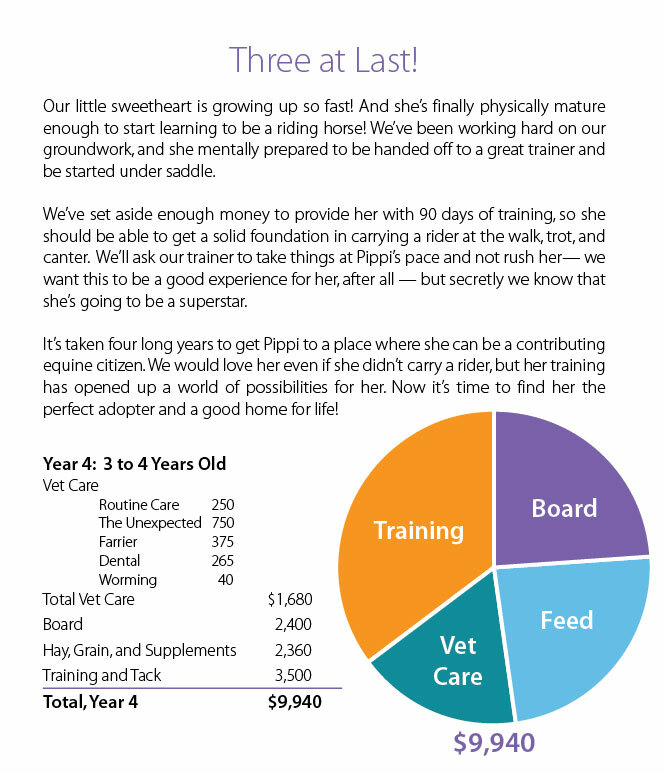 At four years old, Pippi should be a productive member of society, able to be ridden, and pleasant and safe to be around. We’ve estimated that to get her to age four, all of her food, housing, medical care, and training will cost about $25,000. 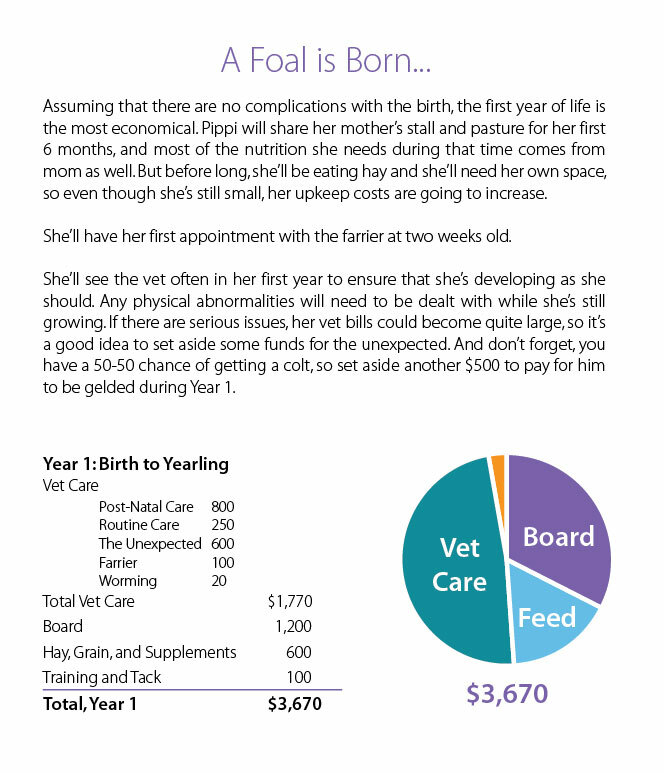 We’ve created a year‐by‐year breakdown of the costs of raising our foal, and you can click through the slides to see how the costs increase as she gets older. Since SAFE currently has two more pregnant mares due before the end of the year, we are looking at a lot of upcoming expenses as our young ones grow up! 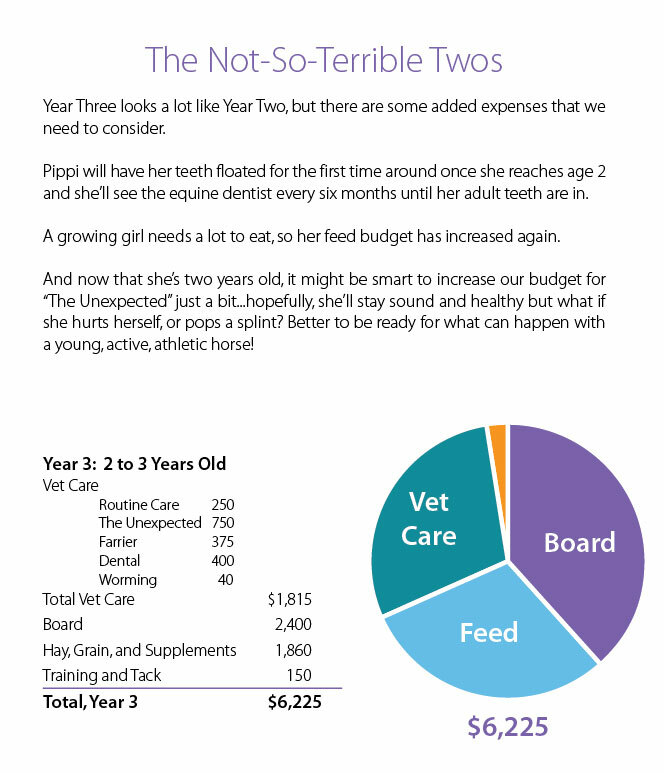 Having these numbers at our fingertips tells us the size of the “college fund” we need in place to provide for Pippi and her new friends. But we also want this information to be an eye opener to anyone considering breeding. While it might seem like a good idea to create your dream horse by breeding your mare, it’s important to realize that it will be four years before that foal is ready to be ridden, and that the costs involved are pretty major, even when everything goes perfectly! With so many adult horses in rescues looking for homes, doesn’t it make more sense to start with a horse that’s ready to be enjoyed? SAFE thinks so! Please consider your support for SAFE’s “Foal to Four” Fund, to help us bring up baby. 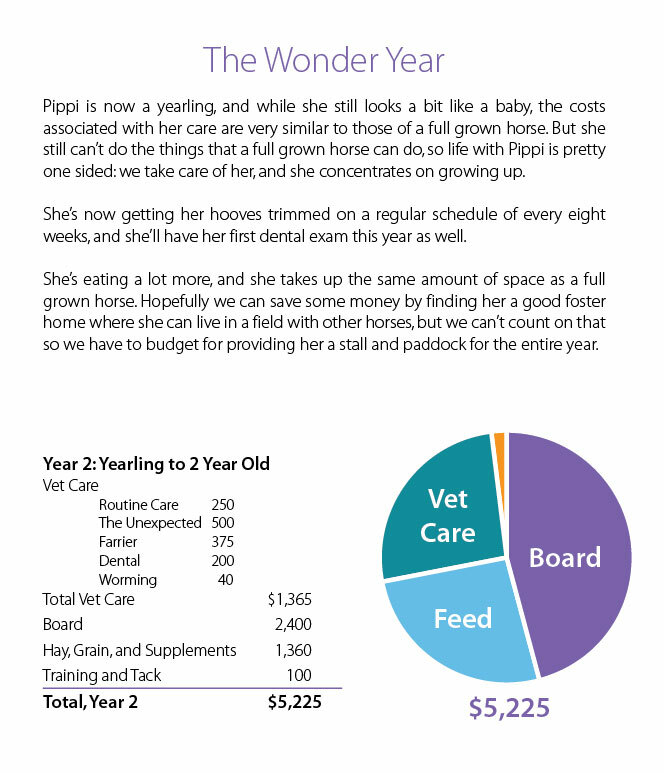 Your donations are tax deductible and you’ll be helping to ensure that we can keep Pippi SAFE for life!